In this famous passage, German poet, Rainer Maria Rilke, asks a young poet whether he has to write. “You ask whether your verses are any good. You ask me. You have asked others before this. You send them to magazines. You compare them with other poems, and you are upset when certain editors reject your work. Now I beg you to stop doing that sort of thing. You are looking outside and that is what you should most avoid right now. No one can advise or help you–no one. There is only one thing you should do. Go into yourself. Find out the reason that commands you to write; see if it has spread roots into the very depths of your heart; confess to yourself whether you would have to die if you were forbidden to write. This most of all: ask yourself in the most silent hour of your night: must I write? And if this answer rings out in assent, if you meet this solemn question with a strong, simple “I must,” then build your life in accordance with this necessity. Your whole life, even into its humblest and most indifferent hour, must become a sign and witness to this impulse. Then, as if no one has tried before, try to say what you see and feel and love and lose. Write about what your everyday life offers you; describe your sorrows and desires, the thoughts that pass through your mind and your belief in some kind of beauty–describe all these with heartfelt, silent, humble sincerity and, when you express yourself, use the Things around you, the images from your dreams, and the objects you remember. If your everyday life seems poor, don’t blame it; blame yourself; admit to yourself that you are not enough of a poet to call forth its riches; because for the creator there is no poverty and no poor and indifferent place. And even if you found yourself in some prison, whose walls let in none of the world’s sounds–wouldn’t you still have your childhood, that jewel beyond all price, that treasure house of memories? Turn your attention to it. Try to raise up the sunken feelings of this enormous past. Your personality will grow stronger, your solitude will expand and become a place where you can live in the twilight, where the noise of other people passes by, far in the distance.—-And if out of this turning-within, out of this immersion in your own world, poems come, then you will not think of asking anyone whether they are good or not. Nor will you try to interest magazines in these worked: for you will see them as your dear natural possession, a piece of your life, a voice from it. 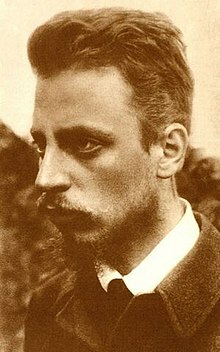 Rainer Maria Rilke. Letters to a Young Poet.